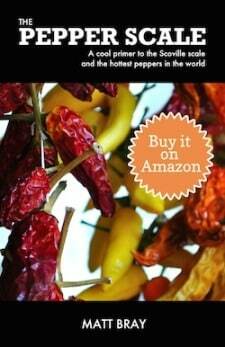 The title for “the hottest pepper” is something that’s challenged more often than you may expect. 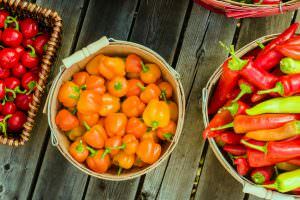 Every year, hot pepper cultivators find a new mix of hybrid, soil, and temperature to create peppers that will combat for the top position, if not beat it. The competition is fierce. Below we break out the top 15 hottest peppers in the world based on potential peak heat (via their total Scoville heat units). Each chili pepper has a range of spiciness possible, so some of the chilies below may rank lower than they would if we measured by floor heat and average overall heat. 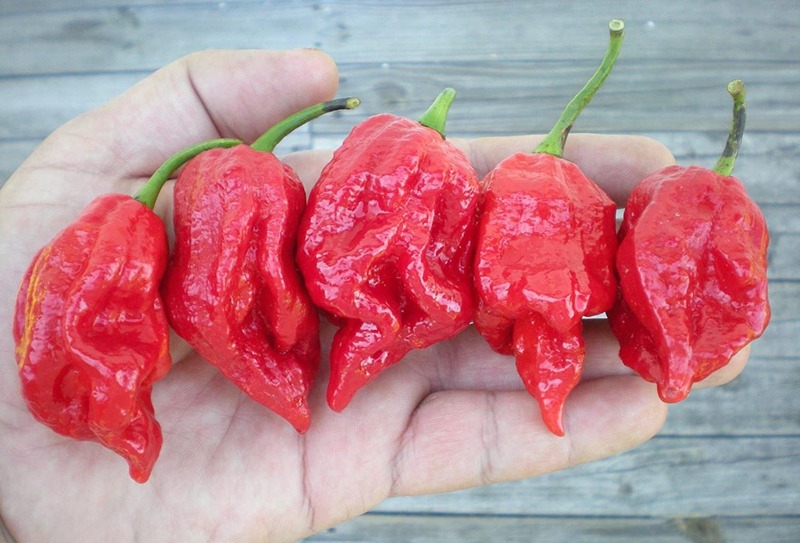 IMPORTANT: Let the names of these chilies – like Scorpion and Reaper – be a warning. These peppers are wicked hot, and, as such, they must be handled carefully. If you’re going to dance with the devil, wear kitchen gloves, eye goggles, and take great care throughout the cooking process. Know, too, how to combat chili burn to keep yourself safe. 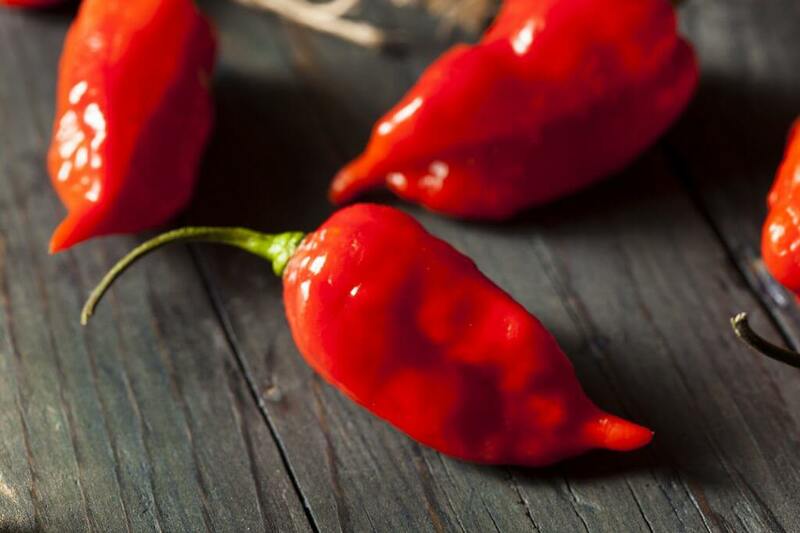 See our full ghost pepper profile here. 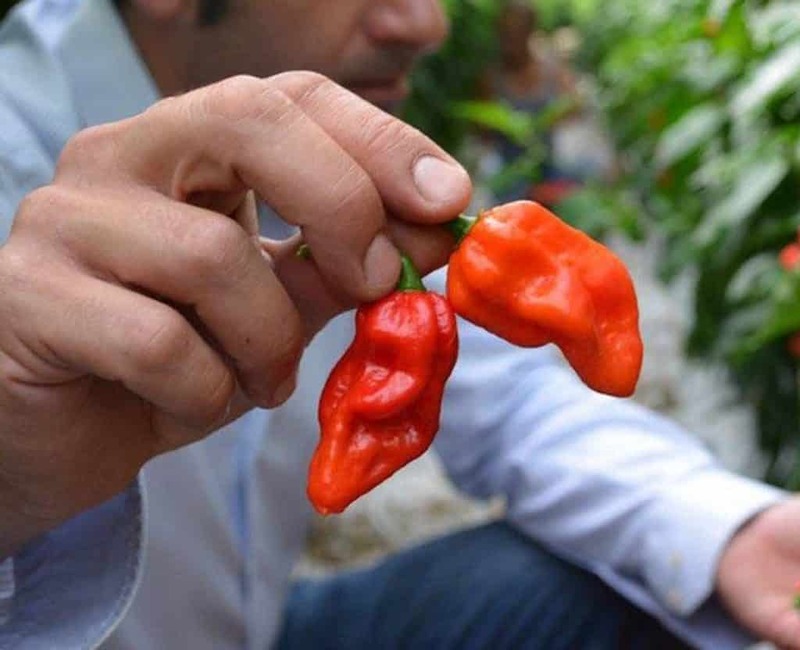 It really says a lot about the state of super-hot peppers when the notorious ghost pepper – once Guinness Book champ – barely cracks the top 15 hottest peppers in the world. The ghost pepper held the Guinness title for hottest chili pepper in 2007, so it has gotten a lot of fame over the years. 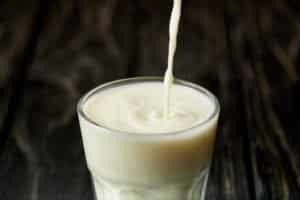 In fact, some of its non-culinary uses have given it notoriety. Residents of India use the ghost pepper as a way to keep wild elephants away. 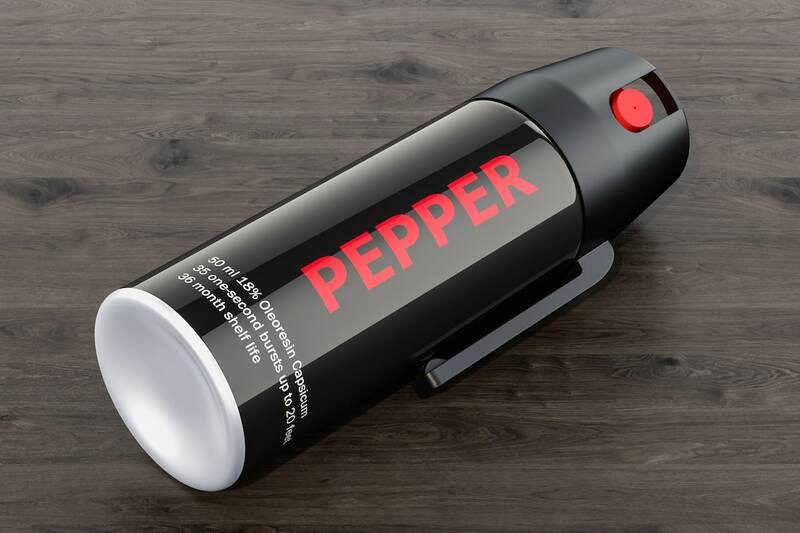 They incorporate it into smoke bombs and even smear the pepper onto fences. Those elephants definitely don’t want to tangle with this pepper, but you can if you like! Take a look at this delicious ghost pepper salsa recipe. See our full 7 Pot Jonah profile here. 7 Pot peppers abound among the hottest peppers in the world. The 7 Pot Jonah is much like the traditional 7 Pot pepper below, but bigger in size and (some say) even fruiter in flavor (if you can get past the extreme heat). They can dip down in heat below the level of a ghost pepper, but at their peak, they’ll easily beat out the ghost by over 150,0000 Scoville heat units. See our full Trinidad 7 Pot pepper profile here. The common variety of the Trinidad 7 Pot pepper is a killer in the kitchen. It equals the peak heat of the Jonah strain, but with a higher floor that guarantees this chili is close to the top end of a ghost pepper no matter what. 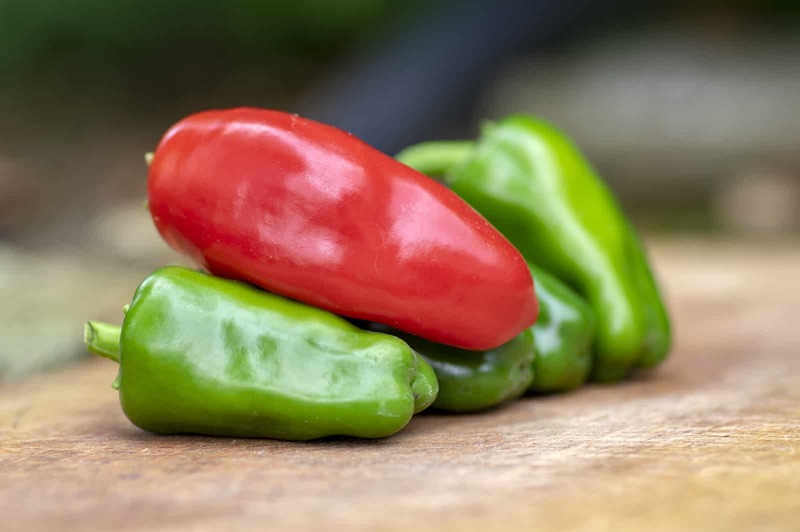 7 Pot peppers get their name for how far their extreme heat can go. One chili can easily spice up seven pots of stew – hence 7 Pot peppers. See our full Infinity pepper profile here. 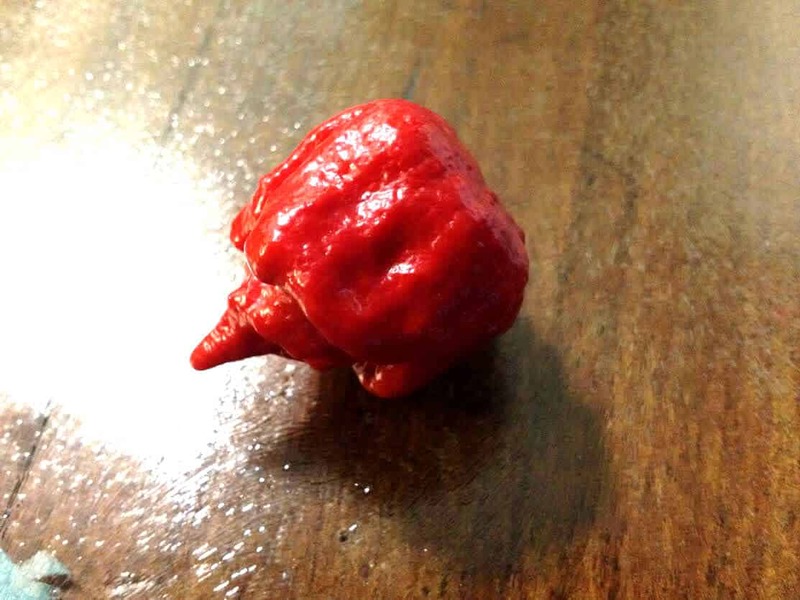 For a brief 2 weeks in 2011, the Infinity pepper held the Guinness Book of World Records title as the hottest pepper in the world, before being replaced by the Naga Viper. It stole the crown from the ghost pepper, and it’s easy to see that both it and the ghost have been relegated far down the super-hot line since that time. Infinity pepper is a good name as the chili has a slow burn, like the ghost pepper, that seems to last a lifetime. See our full 7 Pot Primo profile here. 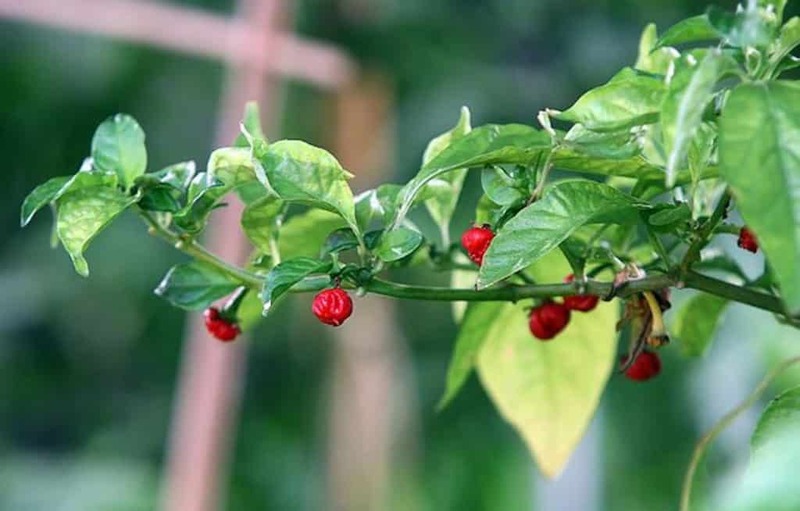 The Primo hybrid is a cross between a Naga Morich and a Trinidad 7 Pot pepper. 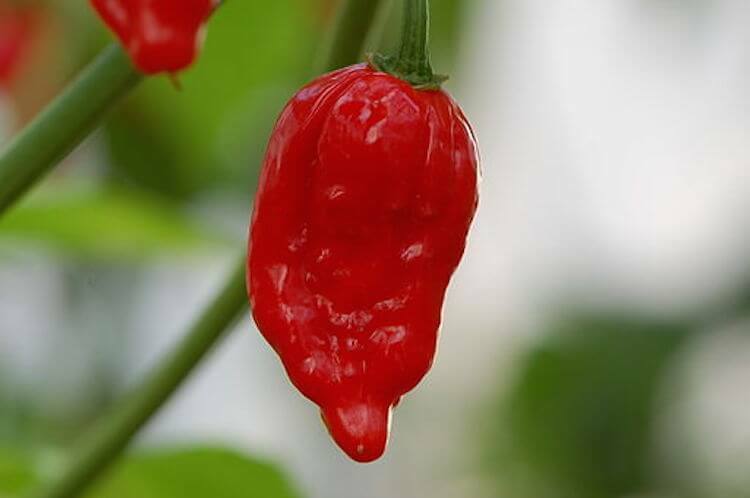 Its heat level is at minimum the level of a ghost pepper with the chance to cross into the world of hotter chilies like the Moruga Scorpion. 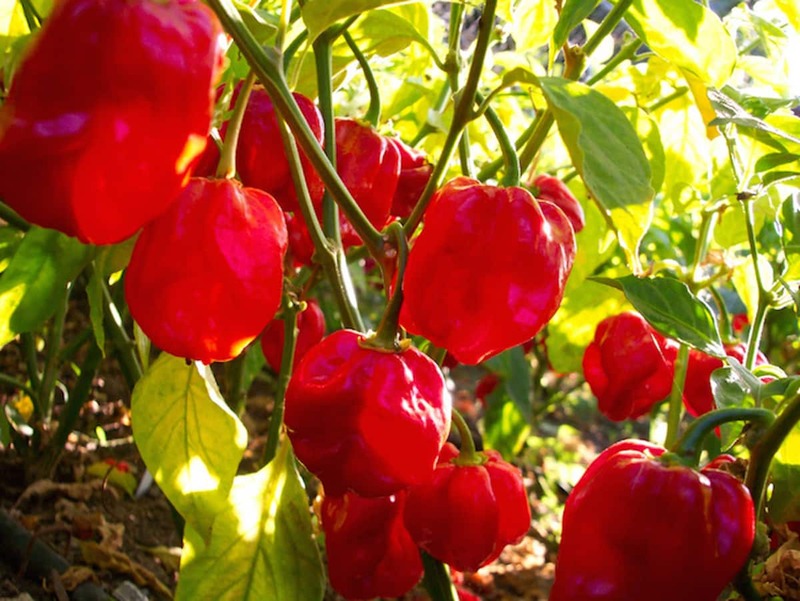 The 7 Pot Primo is known for its pronounced scorpion-like tail, giving the chili a real edge in the looks department, even among the hottest peppers around. 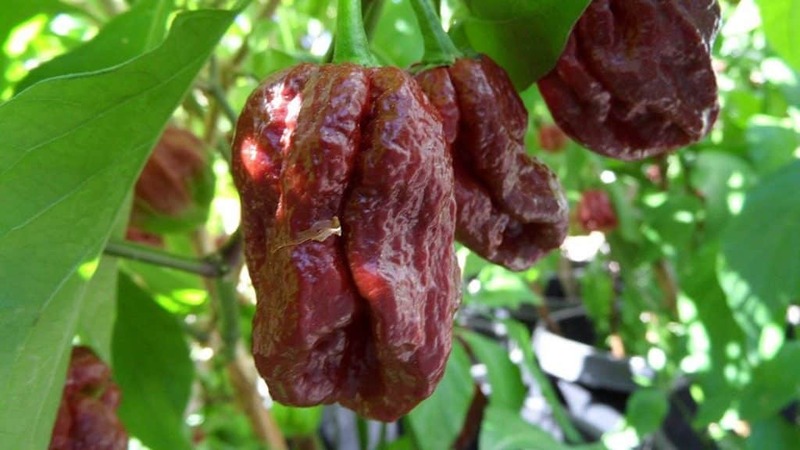 See our full 7 Pot Barrackpore profile here. Coming in bigger and hotter than most other 7 Pots, the 7 Pot Barrackpore is a real force among the world’s hottest peppers. What it has extra in heat, though, it loses some in overall flavor. It’s a little more bitter and less fruity than other super-hot chilies. See our full 7 Pot Brain Strain profile here. The name’s the thing with this super-hot chili strain. The 7 Pot Brain Strain truly strains the brain in heat-factor, but it also looks a lot like a human brain in shape, folded and round. It’s a popular 7 Pot because of its fun look and mega-spiciness. See our full Naga Viper profile here. The Naga Viper has quite the pedigree behind it. It’s a hybrid cross between three super-hot chilies – the ghost pepper, the Naga Morich, and the Trinidad Moruga Scorpion. In 2011 it took the official Guinness Book title as world’s hottest chili pepper, beating out the Infinity pepper. It lost the title in 2012, but still few chilies have held the title making the Naga Viper one to know among super-hots. 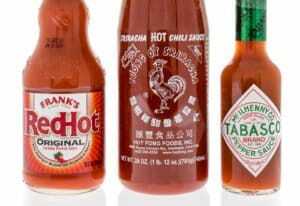 It has the high heat of a scorpion pepper with the slow burn of a ghost pepper. 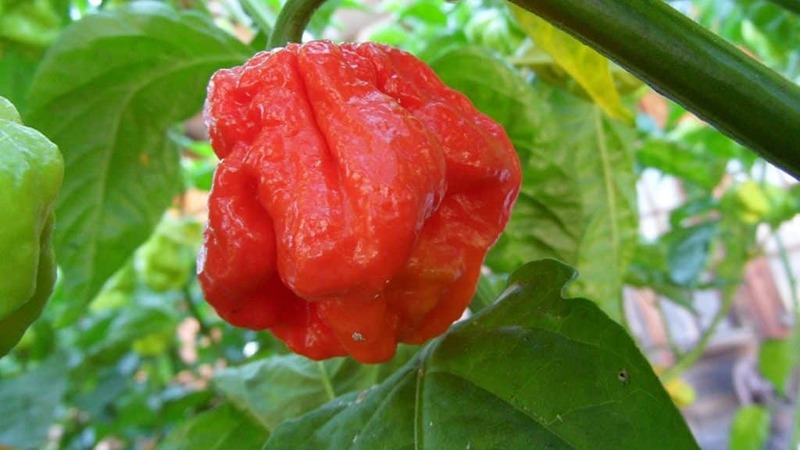 See our full Trinidad Scorpion “Butch T” profile here. The “Butch T” is a strain of the Trinidad Scorpion pepper, and for 3 years it held the Guinness Book title for world’s hottest pepper. 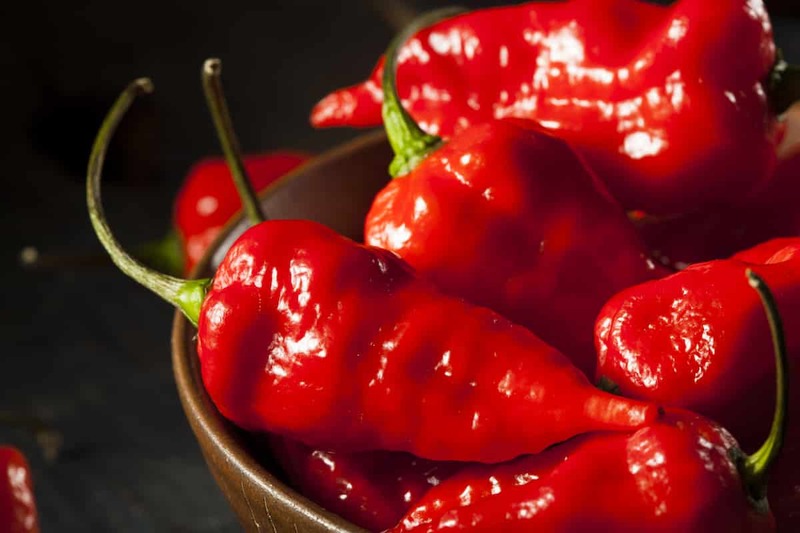 It ranks here at #7 for its peak range, but it tends to average out to a hotter temperature than the Trinidad Moruga Scorpion (which has the much higher potential peak heat). 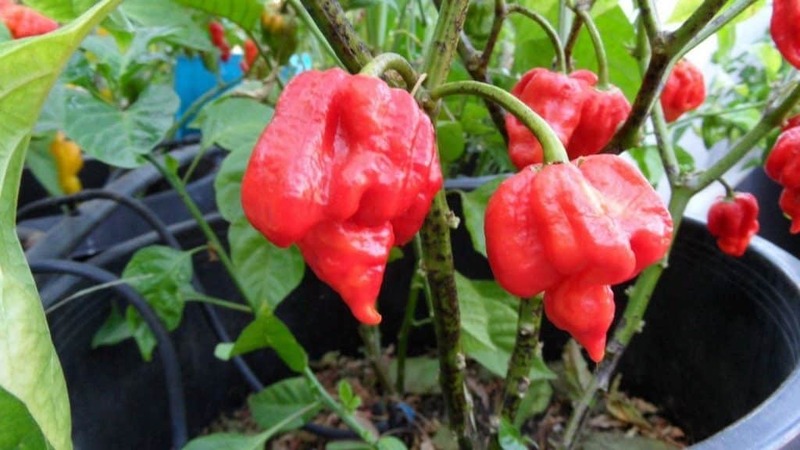 See our full Naga Morich profile here. 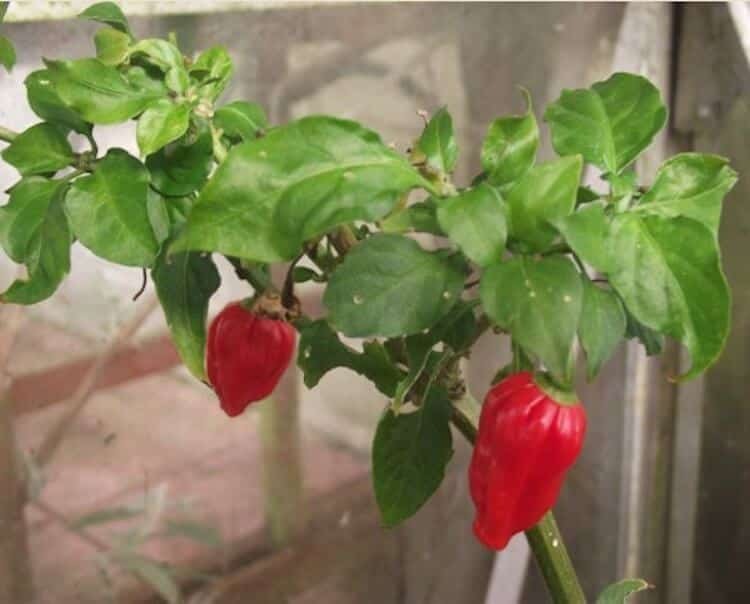 A relative of the ghost pepper, the Naga Morich (also known as the serpent chili), starts in heat where the ghost pepper ends. Its floor is 1 million SHU, compared to the ghost pepper’s peak heat of 1,041,427 SHU. It has a sweet, almost floral flavor and a slow burn heat. See our full Dorset Naga profile here. The Dorset Naga is sort of a super Naga Morich. It was developed by choosing the seeds of the best possible Naga Morich chilies, creating a popular pepper in itself with a little extra heat. But the flavors (sweet and floral) are similar between these two peppers. See our full 7 Pot Douglah profile here. The 7 Pot Douglah is not your typical 7 Pot pepper. It ages to a chocolate-brown and has more of a sweet and nutty flavor than fruity. And in terms of heat, it’s a major uptick from other 7 Pots – at its peak it nears the 2 million Scoville heat unit mark, which only a few chilies ever come close to (or surpass). See our full Trinidad Moruga Scorpion profile here. 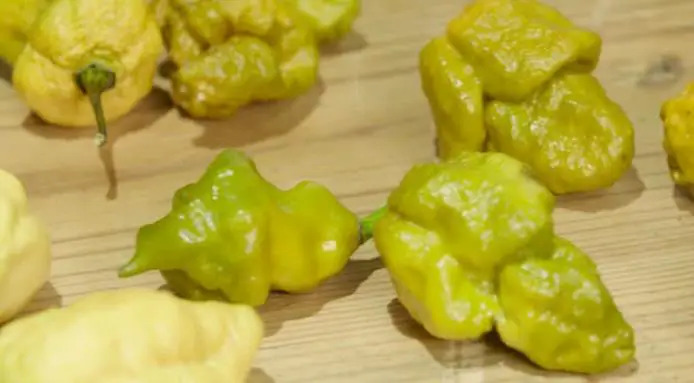 Sporting a killer name, the Trinidad Moruga Scorpion is from Trinidad and Tobago and gets its moniker from its scorpion-like “tail” that looks like the stinger of, you guessed it, a scorpion. 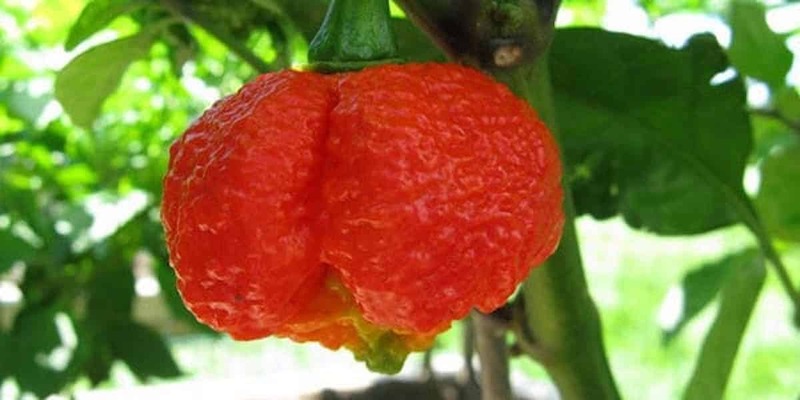 Its heat at its potential peak hits 2 million Scoville heat units which places the Moruga Scorpion among the peppers that can be hotter than many pepper sprays. The Trinidad Scorpion chocolate (the brown sub-variety) falls also within these Scoville heat boundaries as well. See our full Komodo Dragon pepper profile here. With comparable heat to our #1 hottest pepper in the world, the Komodo Dragon has face melting spiciness. There’s a sneaky sweet heat to this super-hot pepper – like the ghost pepper it’s a slow burn that doesn’t hit you upon the first bite, but builds over time into a firestorm. Interestingly, the Komodo Dragon chili is unique in the fact that it found its way into a major supermarket’s store shelves. It’s sold at TESCO stores in the United Kingdom. 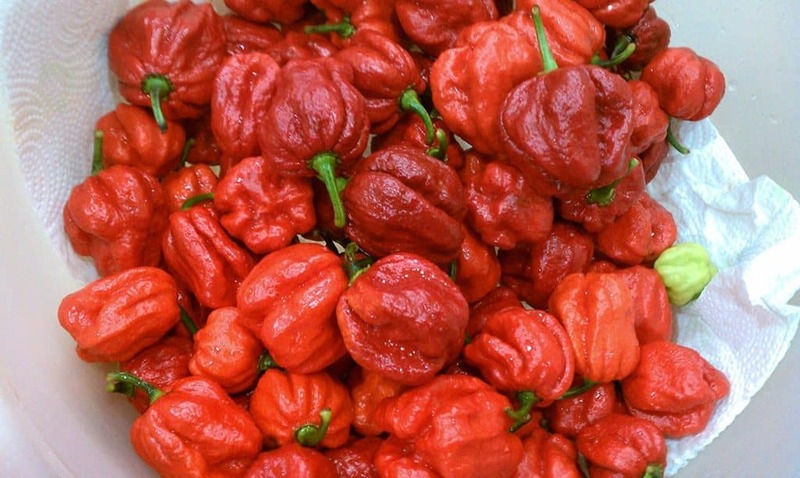 See our full Carolina Reaper profile here. As of November 2013, the aptly named Carolina Reaper has been the Guinness Book of World Record’s official hottest pepper in the world. It’s a United States hot pepper variety (South Carolina) with insane heat, coming in from 1,400,000 Scoville heat units (SHU) up to a mind and taste bud boggling 2,200,000 SHU. That’s essentially 200,000 SHU hotter than the hottest possible Scorpion pepper. Put it another way, it’s a whole habanero hotter in terms of peak spiciness, and at this top level, it blows past many pepper sprays. 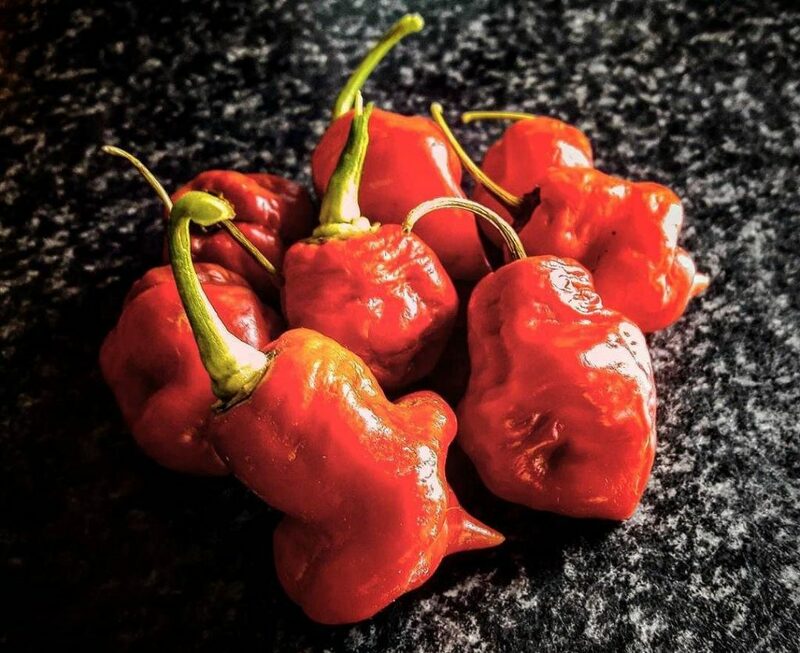 The Carolina Reaper has a fruitiness to it, and the PuckerButt Pepper Company (the growers behind the Reaper) have grown it to be a super-hot that doesn’t skimp on overall flavor. That is if you can handle the heat, and that’s a big ‘if’! The Dragon’s Breath has received a lot of attention in 2017 for its potentially record-breaking spiciness. Initial tests indicated a peak Scoville rating of 2,480,000 SHU. 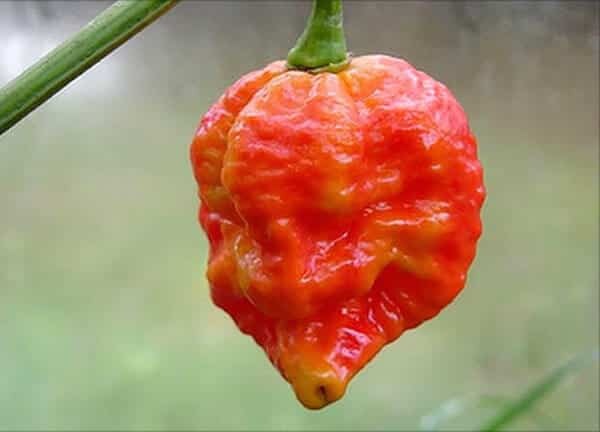 That would easily beat the Carolina Reaper, but more testing and official Guinness records judging are in order to definitively declare the Dragon’s Breath chili as the winner of the hottest peppers top spot. For now, it’s an honorable mention as an extreme chili even among extreme chilies. See our full Pepper X profile here. The Puckerbutt Pepper Company – the makers of the #1 ranking Carolina Reaper – have another trick up their super-hot sleeve. 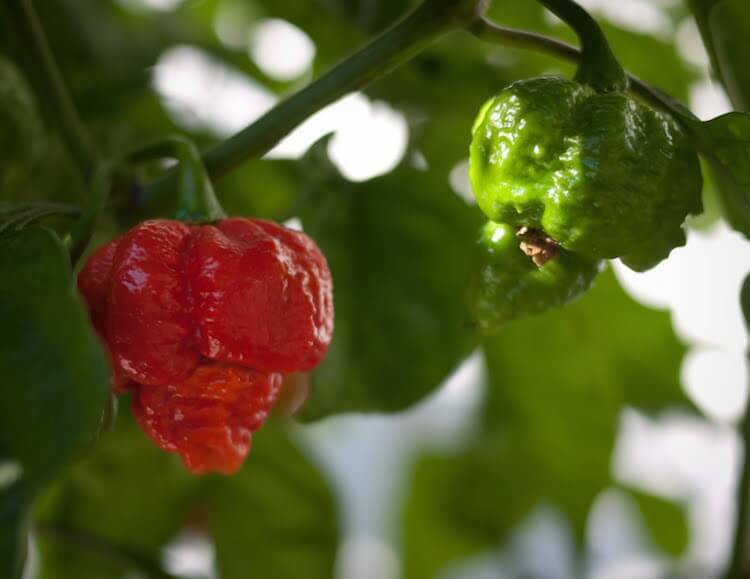 Pepper X is said to be double the heat (yes, double) of the Reaper and a hefty 700,000 Scoville heat units above even the Dragon’s Breath. This is a maddening level of heat, yet – like the Dragon’s Breath – it has not been verified by the Guinness Book of World Records. Time will tell if this chili meets the standards needed to take the top spot among the hottest peppers in the world.